HE’S ALLEGED TO BE WORKING AS A STAFF OF CENTRAL BANK OF NIGERIA (CBN) in the Lagos office. 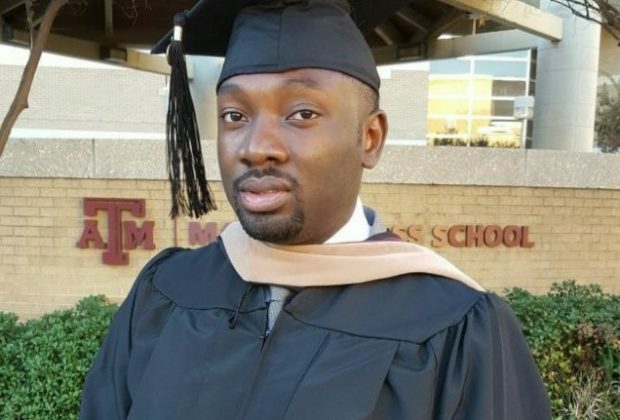 His name is AYODEJI OLUMIDE OJO described by United States law enforcement agents as a ‘fraudster’ who has been declared ‘wanted’ by the United States Justice Department for various fraudulent internet and bank transactions. Even though he visits America regularly, his behavior could be dubbed as that of a Yahoo Yahoo boy in Nigeria whose only means of survival is to dupe people, government institutions and banking facilities across the world. Ojo, now a fugitive is holed up in Nigeria, the alleged mastermind of the travails of another young Nigerian, Olufolajimi Abegunde reportedly suffering in the United States detention facility may be working for a West African monetary institution with its headquarters in Lagos. Ojo, among others, is wanted by the United States Justice Department in connection with several fraudulent internet and bank transactions in defrauding U.S. firms and individuals to the tune of $15 million. According to NPR, in a recent telephone conversation with him after being traced to Lagos, Ojo initially feigned ignorance of the matter apart claiming that dropping his name in a case he knew nothing about amounts to mistaken identity. He lied by pleading: “I am just hearing about this for the very first time. Can you please send me the links to the stories so I can peruse them?” But when several data and information relating to the case was sent to him as requested, Mr Ojo opened up and explained that Abegunde who is currently suffering in U.S detention facility is his friend. Ojo who is currently in Nigeria however said that he was ready to clear his name and possibly respond to any enquiry by United States justice department if called upon to do so. He further said that his lawyer has taken up his case and has graciously allowed his lawyer to also intervene in Abegunde’s case when it will be mentioned again by March this year. It would be recalled that PRNigeria and its sister publication Economic Confidential had in the last one year followed up the development by linking Abegunde’s family with the Nigerian authorities through series of publications prompting Abike Dabiri-Erewa, Senior Special Assistant to the President on Foreign Affairs and Diaspora to intervene. In intervening, Mrs Dabiri-Erewa in a recent statement said the Nigerian Consulate in Atlanta has stepped into the case of Mr Olufolajimi Abegunde arrested in U.S. since June 25, 2018. She noted that her office had got more insight into the circumstances surrounding the arrest of Abegunde, adding that the consulate had written a letter to U. S. Authority requesting consular access to Abegunde. She also posited that U. S. department of Justice in June 2018 arrested and charged eight people including Abegunde with cybercrime and business email compromise conspiracy. According to her the suspects were alleged to have defrauded some U.S. Companies and individuals to the tune of 15 million dollars. “Abegunde’s pleas that his friend, Mr Ayodeji Olumide Ojo, used his address to open a bank account in a U..S. bank, will hopefully be proved right in court. Unfortunately, Ojo , his friend, who has been previously indicted by the U.S. Department of Justice and charged with conspiracy to commit fraud is currently at large. The consulate will undertake a consular visit to Abegunde as soon as consular access is granted by the U.S authorities,” she said.